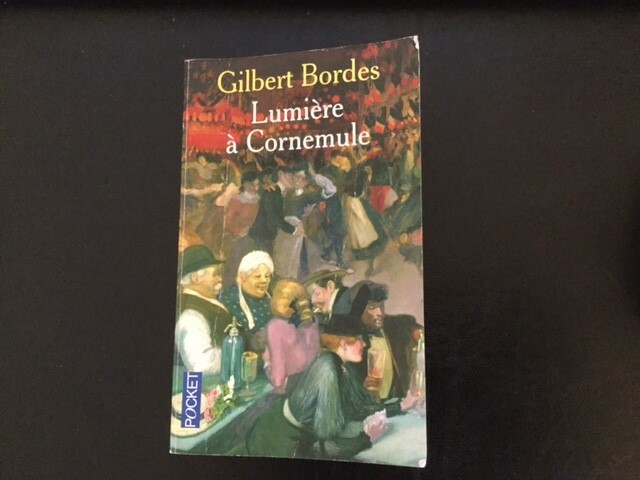 I am very fond of stories based in France in the early 20th century and this book by Gilbert Bordes did not disappoint. You can find it here on Amazon, though I found it during one of my afternoons spent happily browsing the shelves of a second-hand bookshop in Tours last summer. 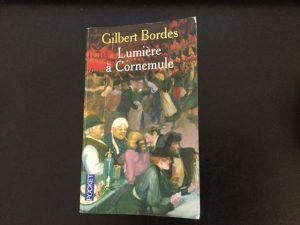 Set in 1903, it deals with the shocking plan to bring electricity to the small town of Cornemule in the Corrèze region of France. Valentin Lescure wants to be the mayor “qui fait briller le soleil à minuit ! ” – who makes the sun shine at midnight. This starts a panic in the town where the simple inhabitants believe the new-fangled invention will turn the animals mad and render the men of the town impotent, rumours not quashed by the doctor who hopes to benefit from this misinformation. When light comes to the town, the curtain-twitchers can now see what their naughty neighbours are getting up to in the evening and a rumpus follows. I wholeheartedly agree with one appreciative reader who comments on the website Babelio.com: “Franchement, à mourir de rire!” -Really, a book to die laughing. I shall get it out and read it again whenever I need cheering up. Clare Jones was born in the North of England in 1960. She fell in love with the French language at the age of 11 and went on to study it to degree level at Leicester University, where she also became a qualified teacher. In 2011 Clare collaborated with Tamsin Edwards to produce an iPhone application, “Figure out French, Rouler un patin: to give a French kiss and other French expressions for leisure and health”. Though she now lives in England, Clare always has her nose in a French book and she surrounds herself by all things French. She is currently very busy teaching French as a private tutor and when she has the time, she writes a blog on the subject of the French language (click on the blog tab to read it). Clare enjoys tai-chi, swimming, and cycling in the local country park. She is also an enthusiastic member of her local community choir. Tamsin Edwards studied art at both Nene Art College, Northampton, and Derby School of Art during the early 1980s. Though well known for her atmospheric watercolour landscapes, Tamsin also creates quirky pen & wash illustrations, often portraying comic images of people and places. Tamsin has already collaborated with Clare Jones to produce an iPhone application. 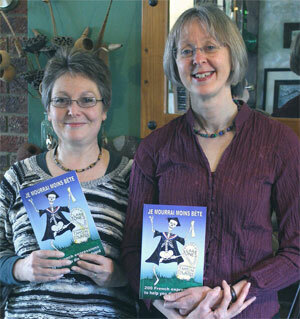 Past commissioned projects also include the children’s storybook ‘Tales of Two Shires’ and a book of poetic verses. As well as regularly exhibiting work and selling to clients around the world, Tamsin has also had several paintings published in an international magazine. To view further examples of her work or to buy original artwork from this book, please visit texart.co.uk. Tamsin can be contacted at art@texart.co.uk.